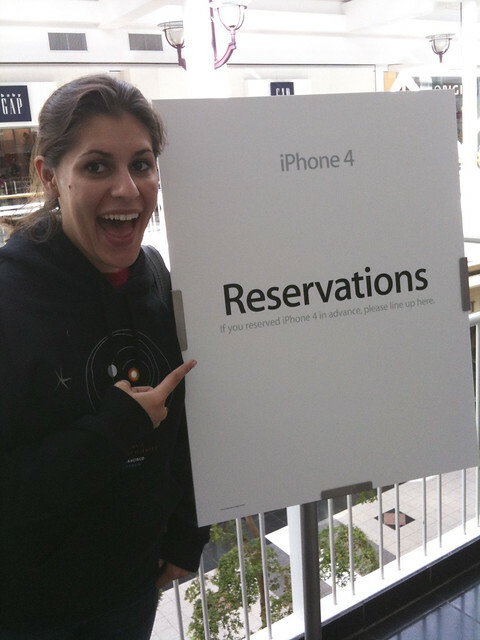 Yesterday I got to be apart of the iPhone 4 release at my local mall. It was a pretty neat experience. 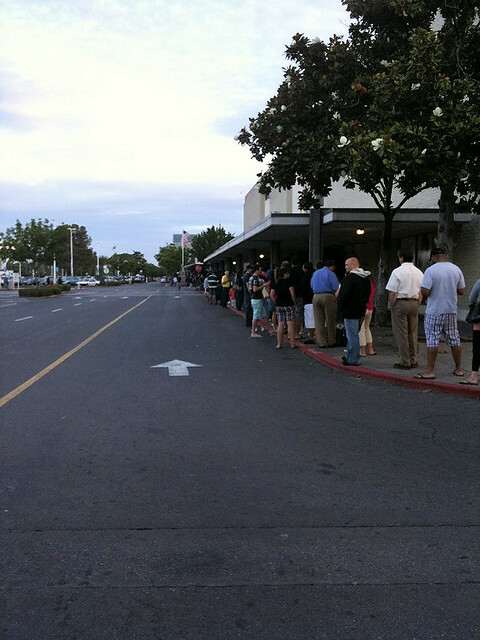 In the past I used to think that all those people lining up for a “phone” were nuts, but the same can be said about those who camp out for big movie/book releases. It’s all about the experience. Initially I wanted to pre-order the phone, meaning I wanted to buy it online and have it delivered to my house (the term “pre-order” has been thrown around so much because some don’t understand the difference between pre-ordering and reserving). As most people know, trying to pre-order last week was an absolute nightmare, mostly thanks to AT&T, so I had no choice but to reserve mine in store. 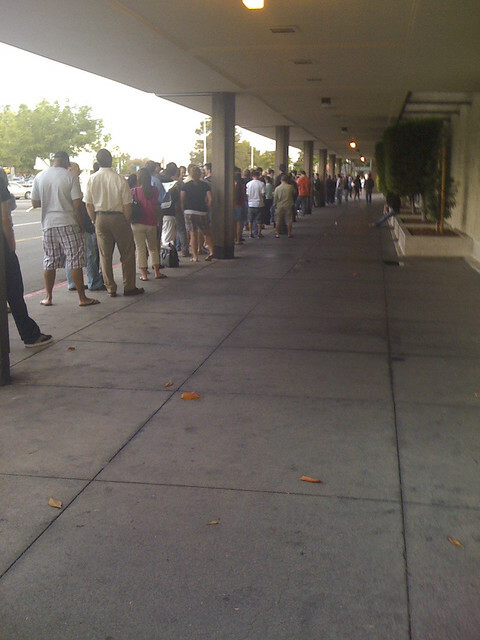 Dani and I showed up to Arden Fair Mall around 5:45am where the line went from the front of the mall all the way down to Macy’s and around the corner. 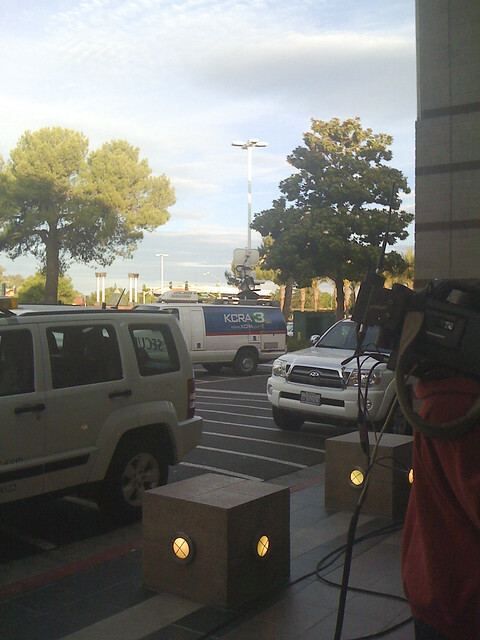 While standing out there TV crews showed up including Channel 10 and Channel 3 news. Around 6am they let us into the mall 10 at a time where we were forced to go in either a line for reservations or line for buying. While waiting, the Apple employees handed out free Smart Waters while Dos Coyotes handed out free chicken burritos; the burritos were a God-send considering I hadn’t eaten breakfast. 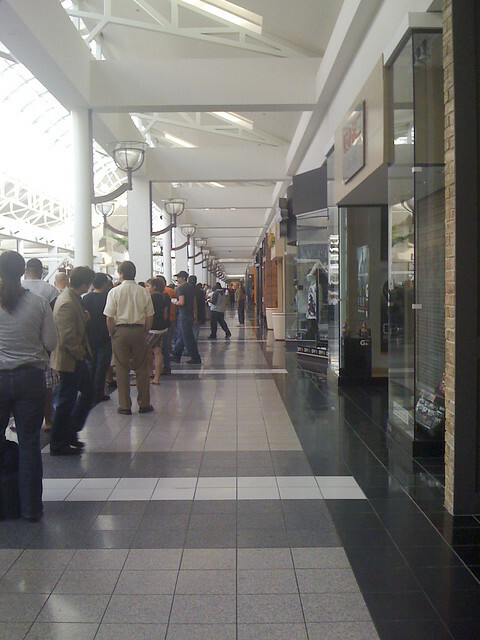 About 10 minutes before the store opened all the Apple employees ran around the mall giving us high-fives and cheering. They were really enthusiastic and it was great to see everyone so excited. About an hour before I got my phone a lady from News 10 came up to interview me, but it doesn’t look like I made it onto the news or any news articles. At approximately 9:30am I finally got my phone. My battery in my 3G had died 30 minutes prior, and I was desperate to go to the bathroom (after all that water, haha). 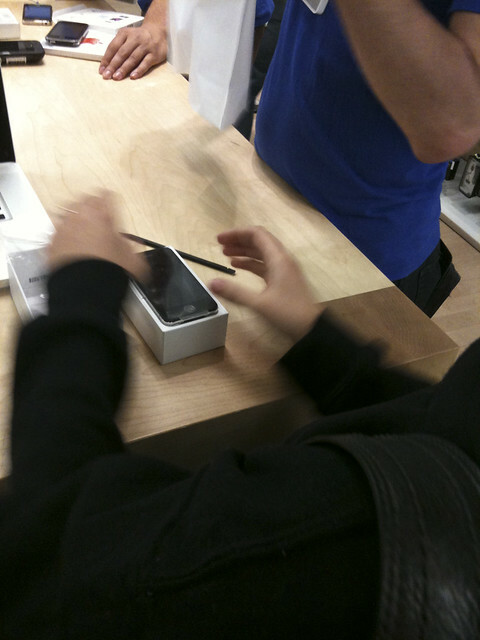 Needless to say I was very happy to get my phone. They took us in one at a time, so I literally got my own personal shopper. I asked him a couple questions about the bumpers (I didn’t get one since they only had black in the stores), but within five minutes I got my phone paid for and activated. When I walked out of the store I was trying to call Joshua when a bunch of people cheered and there was a news camera in my face. I was surprised at how chill everyone was considering my friend (who showed up at 10pm last night) said security guards weren’t letting people line up (even threatened to arrest people); I guess around 3am they had no choice but to let people line up since there were so many. At one point some guys got escorted out of the mall because I think they were trying to be cute and toss a wad of cash at the security guards. 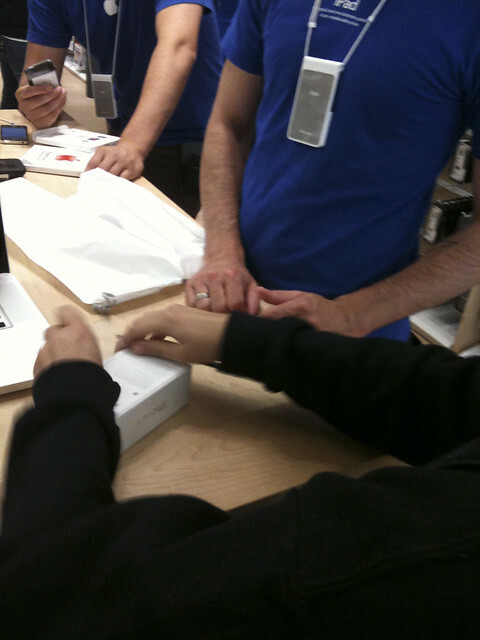 Other than that there wasn’t any trouble and all the Apple employees were REALLY nice about everything. Overall it was a lot of fun! 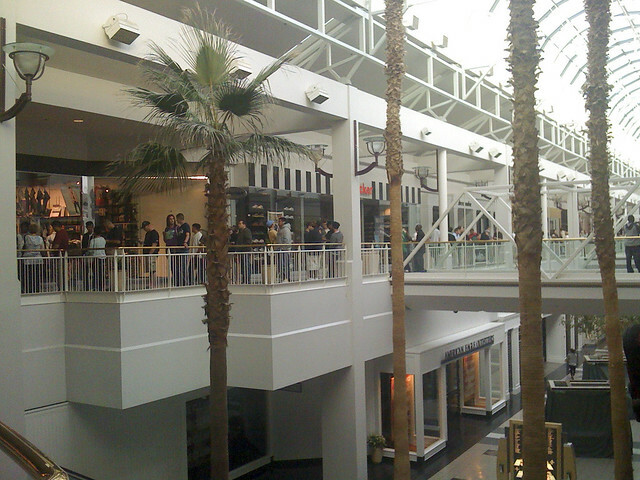 Here are the news articles that featured the mall I was at! My friend/classmate Matt Davis got interviewed twice and featured in the articles.